They know a company with a weak password policy when they see one, and they have countless tools at their disposal and weapons in their arsenal to pair with practiced techniques to exploit that policy. In a matter of minutes, a hacker can steal everything a company thought they had under lock and key, and the consequences of this breach can be devastating. In the aspect of technology, a business is only as secure as its weakest system or employee password. How is Technology Used to Enhance Efficiency for Good and Bad? 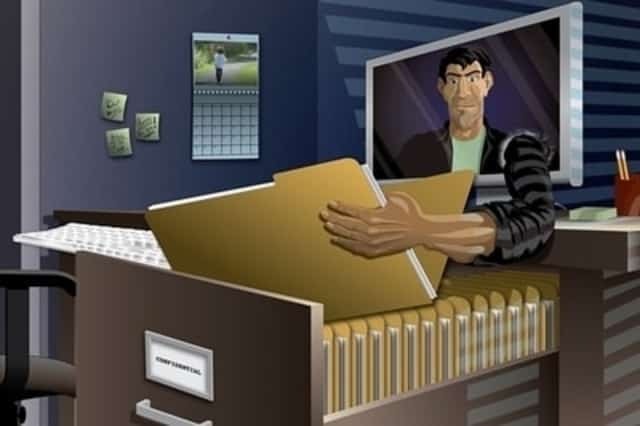 Just like technology has enhanced the efficiency of your business, technology has been used to enhance the efficiency of their thieving practices. Software has been designed in order to exploit weak passwords to compromise business accounts. A business password policy is not just about requiring passwords to have a list of requirements to be used. It also applies to devices that you allow employees to use to access business accounts, and how they use their company equipment. For someone with a good amount of computer knowledge, some recommendations may seem so obvious that they don’t feel the need to explain them to other employees. Here are some reasons why many basic precautions such as encryption, frequent password changes, and many others are not enough to keep unwanted eyes out of your business, literally. Through years of research and experience, hackers have compiled data on the most common passwords used each year. In a sense, they have built a virtual dictionary of possible passwords and implement that with the use of the software. It only takes this software minutes to input every password in that dictionary as a possible password and if there is a match, it is game over. 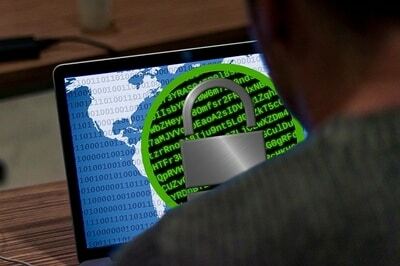 Sophisticated thieves will also tweak this software to have it customized for the parameters that have been set for the password they are trying to breach. In other words, the software can be altered to conform to the password requirement policies you have implemented. From there, the software runs at a high speed through every possible character ordering and combination. Often times, this method alone is enough to breach into the system or systems of a business. Another technique used to gain access to your business is by using oblivious individuals that work within your business and have access to what they seek to gain. This can be done by sending an email or a link with a sign in prompt (using any reason for the point of contact) to the individual that looks legitimate to them. That individual then enters their credentials or security question information into a phony website or system that only looks like the real one. Often it doesn’t have to be a strictly business login account for someone to gain access with this method. The reason for that is that unfortunately, many employees will use passwords that they also use on their personal accounts that have no relation to their work accounts or vice versa. Even if the password that the individual enters is not the exact password for the business account, hackers can utilize software to generate variants of the entered password which may just be arranged differently but use the same information for the individual’s business account. When the previous two methods fail, they just grab another tool from their toolbox. Often businesses use encryption methods to protect the integrity of information, including a list of passwords. Hackers obtain this document of encrypted information in several ways either offline or online. Once the encrypted passwords and information are in their hands, a system is used to unwind the encryption ‘code’ used to encrypt (and in the victim’s perception, protect) said document or file with sensitive information. Usually business files are encrypted using an algorithm that some other system has used in the past. They then develop or use a reverse algorithm to read the encrypted information. In IT world this is often called or referred to by the name of a Rainbow Table. The next weapon in their arsenal to gain access to weak passwords is by keylogging. The easiest way to go about this method is by targeting individuals who occasionally use their personal device or device(s) that are not as heavily protected against malware as their work devices. It is possible to also directly target business equipment, but it is jam-packed with anti-malware and virus protection software that will catch the unwanted malware. Regardless of which device is used, a keylogger is embedded into the malware that the user unknowingly invites onto their device. The malware then compiles a set of data that contains every keystroke made; with the right target individual who occasionally logs into his or her business email accounts or business scheduling systems, using that information to gain access to sensitive business information. As with other hacking methods, the information used in the passwords that are captured can be used to generate possible variant passwords using the same content. 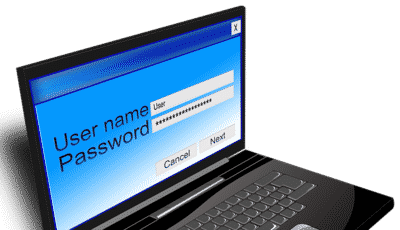 Circling back around to the first password hacking method described, a method regarded as Spidering is used when they have a specific business already in mind. Web spiders are useful tools when they are not used for evil purposes. Search engines utilize spider software to rake through the internet and index result contents. Hackers will use spider software to do research about the target business and its top entities. They will use this information to develop a list of company-specific information to input into the dictionary type software mentioned above. This can be very effective because some employees have enough knowledge of online security to avoid personally related information, so they will use random information about their business and or its upper-level executives to create their passwords. Despite the ever-evolving methods and techniques utilized to complete a breach, there are numerous ways that a business can protect itself. The most basic action you can take is to utilize software on employee’s accounts and devices that automatically enforce your company password policy. While most business owners and higher-ups don’t want to admit it, a lazy employee who simply doesn’t follow the policy that is not entirely enforced can open the door wide open for a hijacking attempt. Aside from enforcing said policy, you will need a comprehensive and thorough password policy to enforce. Require that employees use different passwords for each business login they have. Make sure that no personal information such as first, middle, or last names, dates of birth, current or previous address components, phone numbers, names of their children, previously used passwords, and passwords used on personal accounts are any variant of or any part of the employee’s business account passwords. Professional IT services can provide multi-step authentication processes so that employees must go through not one, but two or even three authentication steps to gain access to their business accounts. Ensure that your systems only allow around 3 password attempts before requiring further company IT assistance to gain access. Use monitoring systems to record each employee’s login actions to ensure that non-company devices are being used to access said accounts. Keep antivirus and malware software installed on all devices throughout the business and ensure it is reputable and will update at least every couple of days. Having antivirus and malware software update frequently is extremely important due to the ever-evolving types of malware. New forms of malware along with new viruses are created every day, and in response, reputable and dependable anti-virus and malware software update every day or few days to keep up with that. Finally, one of the best things you can do to keep hackers from taking advantage of your password policy is to educate your employees about this subject. Make sure they are aware of the consequences of weak password requirements and weak company-wide password policy. It may annoy them to the end of the earth, but if they do not follow your complex password policies, they might end up with no job at all. Even if taking these measures will cost the business more money then you are currently budgeting for security and IT network management, it is a small price to pay compared to the costs that ensue when a security breach occurs, including the complete destruction of the company itself. For more information, contact us using our form and we will be happy to explain how we can help!